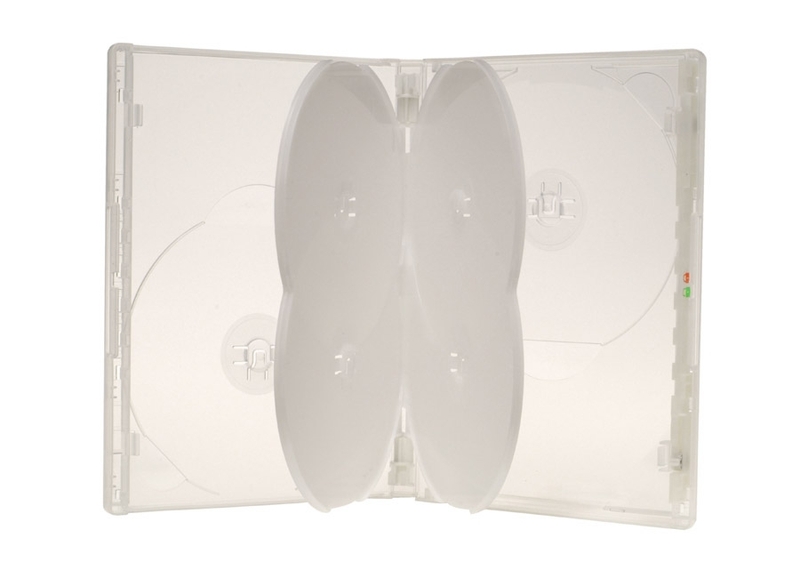 Holds 6 discs in a std 14mm DVD style case. Perfect for box sets and TV series. Double overlapping walls and reinforced spine create a peripheral seal. We use these for our in-store rental cases of TV Series and have done for many years. We rarely have damaged cases needing to be disposed of. My long weekend was one big ol' fat juicy mrialce. I took no work with me on my trip to our cabin in the north country. Friday evening I arrived and enjoyed every sip of a margarita at my fave restaurant. Then proceeded to relish every waking and sleeping moment of a gorgeous weekend at our cabin. I felt so alive as I drank in every moment, feeling, sound, sight, taste. My husband, stepson and I had an amazingly fun late night card game that ended in a water fight with all 3 of us belly laughing. Winston,We only have met once, during an ABBI confrceene, and I must recommend you on your persistence in sending me your monthly emails.Not always do i have the time to look at them immediately , but I always look at them!!! !In an much smaller way, I too use the email to stay in touch with friends and clients, by way of sending them jokes every day 5 to 10 jokes a day .Its another way of getting your name out there every day!!! ( SOFT SELL )Jan Gunnink.Ps Are you ever in PERTH? ( Where it ALL happens ) Except business sales. Great for tv series and our box sets, we now can have all our stock out live. We now can put all our TV series into a single case and save on space time and MONEY!!! Click the button below to add the ONE-Time Lockable DVD 6 - Hexa to your wish list.